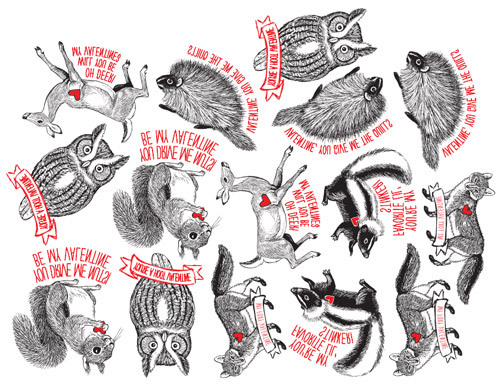 The web is brimming with so many fun Valentine printables. How do you choose which one do you like the best? 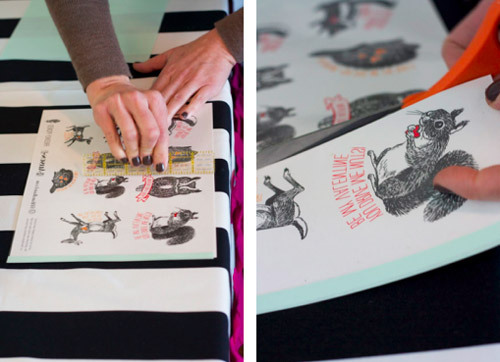 I did a round-up yesterday including a bunch of adorable Valentine printables, in case you missed it. 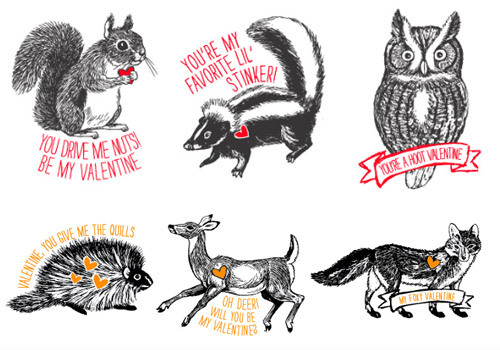 Today I discovered another cute printable that I would like to share with you - Valentine DIY tattoos from Fifth and Hazel, the Alison Show and Freshly Picked. 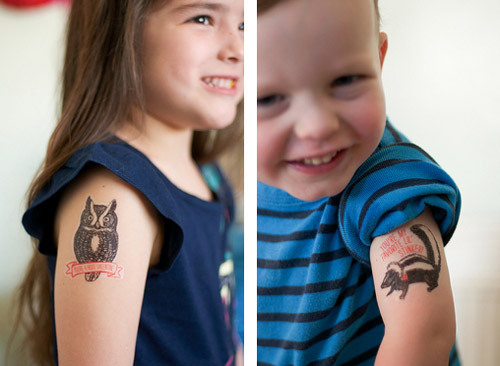 These temporary woodland tattoos include an owl, a skunk, deer, porcupine, fox, and squirrel. These are avilable in two sizes - big and small, and can be downloaded for free from here. Loving these so much!! Thanks for sharing!